Plant Management by John R. Bangs. Alexander Hamilton Institute. New York. 1962. Hardcover. Very Good with no dust jacket. Edgewear; Modern Business. A series of texts prepared as part of the modern business course and service of the Alexander Hamilton Institute. 382 pages. 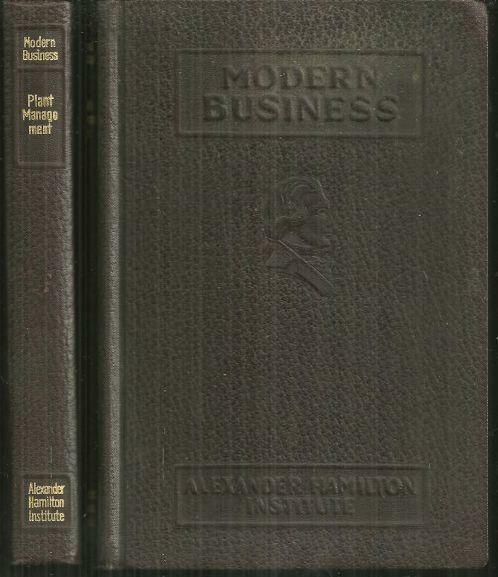 Items Similar To "Plant Management by John R. Bangs 1962 Alexander Hamilton Institu..."